This is a decorated Pulut Kuning Cake..a savoury cake that is traditionally made for celebrating birthdays, can also be used as hantarans and other celebrations. 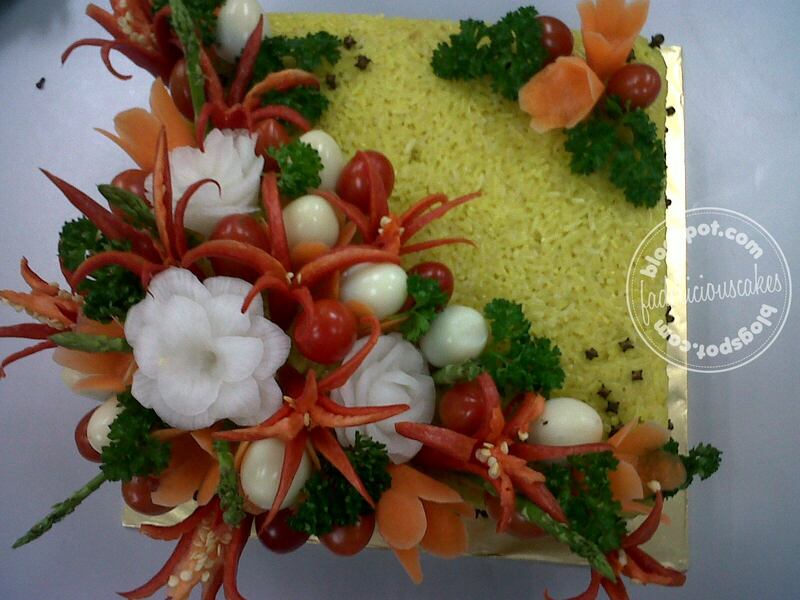 Beef/chicken serunding is used as the fillings in the cake and all the decorations are edible. 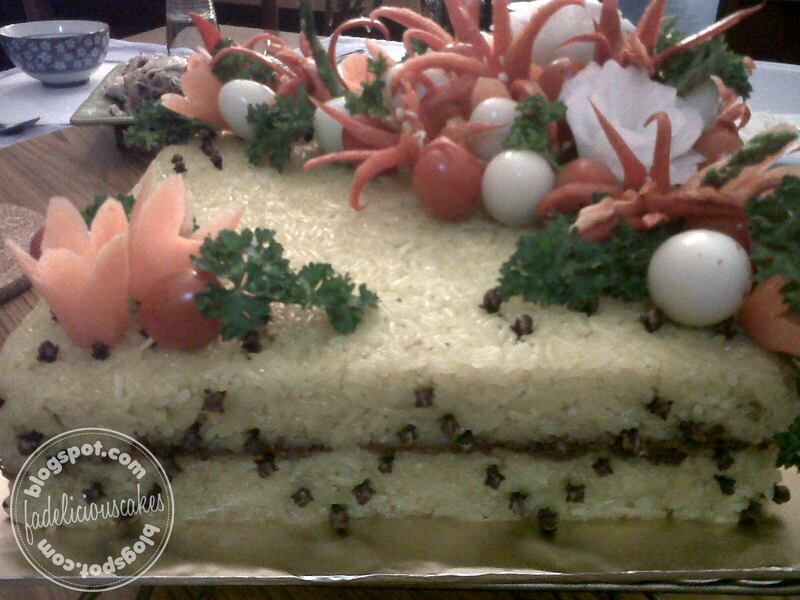 This is a 1.5 kg ++ Pulut Kuning Cake and is sold at RM75 each excluding delivery charges.